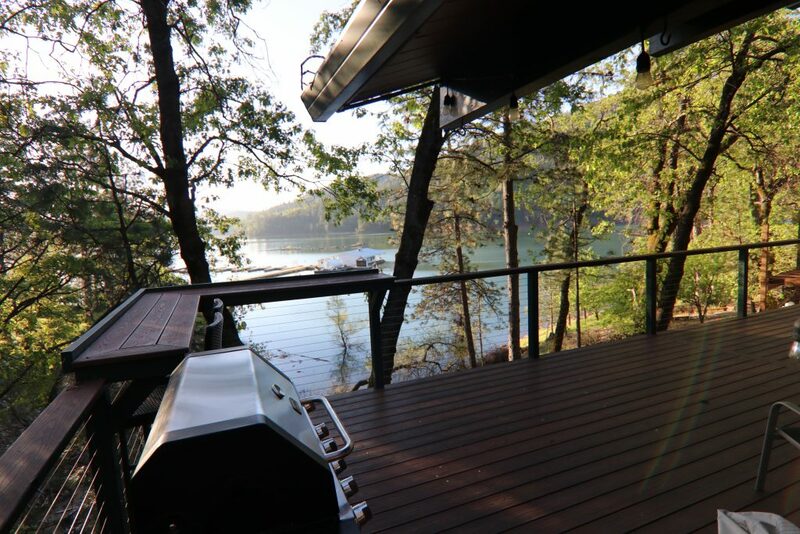 Rates - Shasta Lakeshore Retreat - Available @ VRBO - LAKEFRONT! 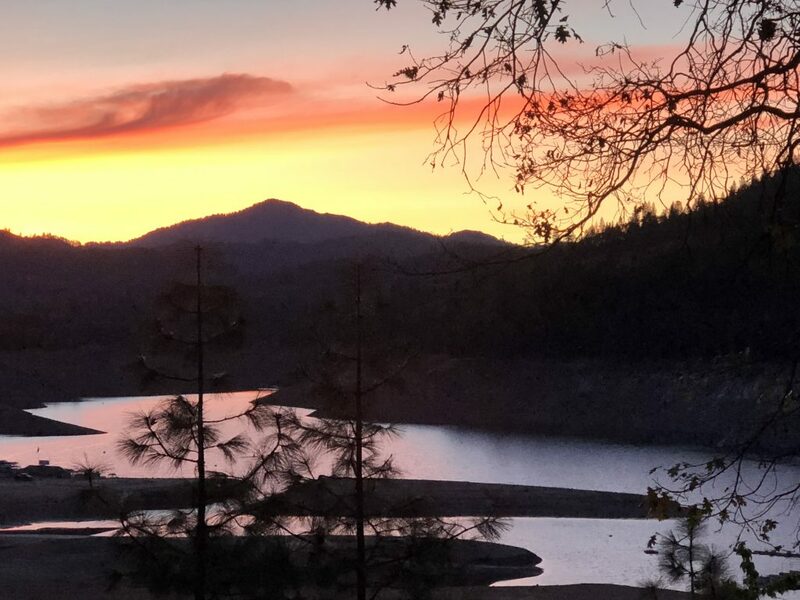 Rates vary from $175 to $595+ per night (discount for full week) depending on time of year plus 10% Shasta County Lodging Tax, Refundable Security Deposit of $500 & Cleaning Fee of $150. 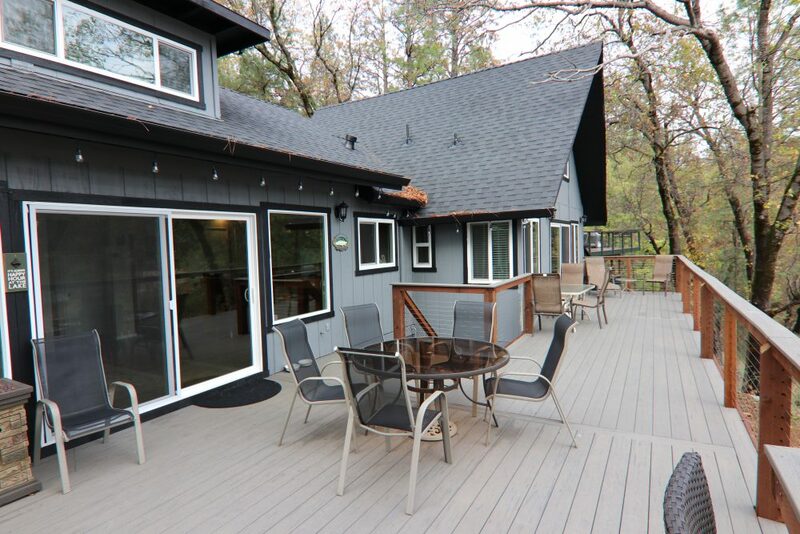 Note there is a slight discount if you book both homes together using the VRBO or Airbnb listing that includes both homes. Consider Fall, Spring and Winter for lower rates. The first half of June and the second half of August are slightly lower than mid summer. September is less also and one of the best times of the year. See the graph/chart on this page for more information on approximate rates through the year and what activities are still attractive at that time frame based on weather. Minimum of 2 to 4 nights. Normally 2 in winter months, 3 in the Spring/Fall and 4 nights in the Summer. 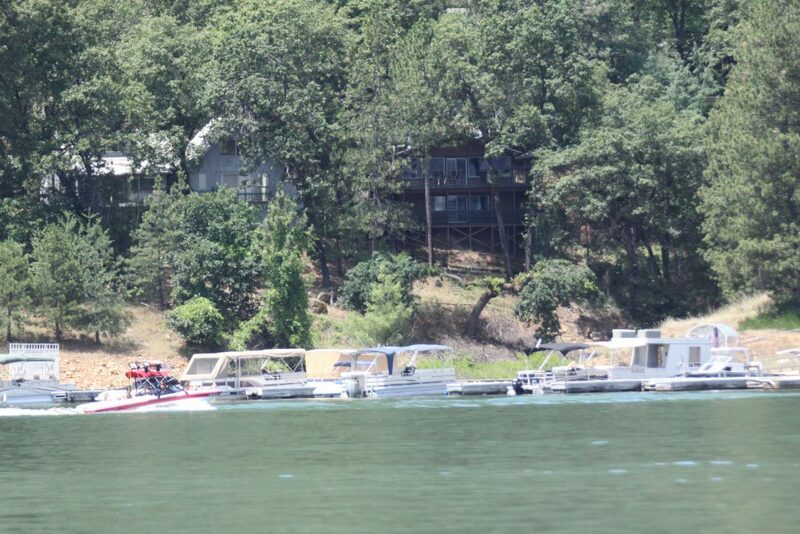 Many times in the summer you can find 2 and 3 night openings between other reservations. 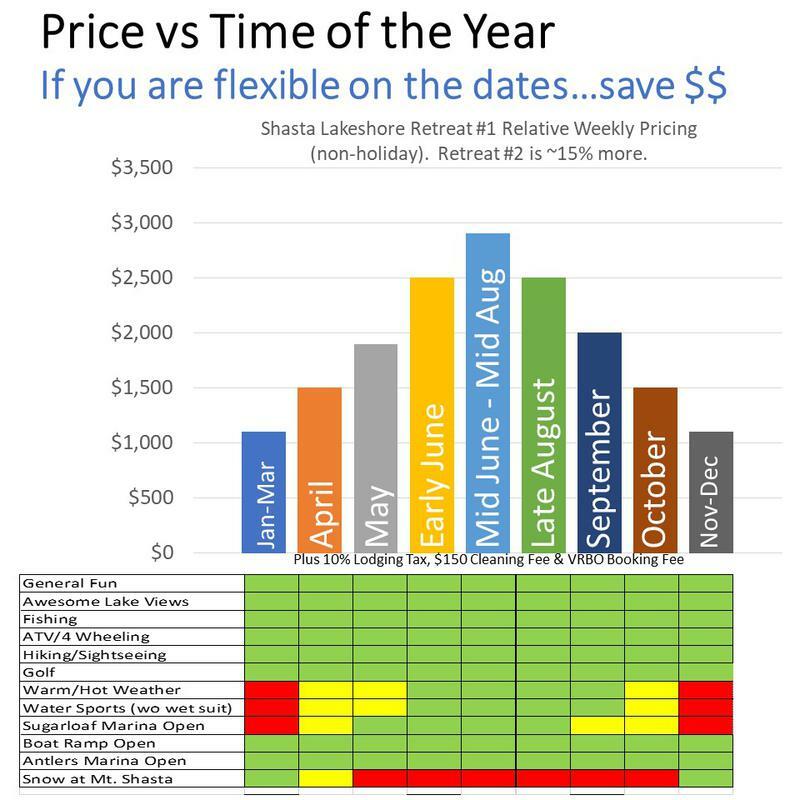 The highest demand is from June through September as well as different holidays or fishing tournaments during the year. “Click” on calendar icon below or go to the calendar page for detailed information. Popular times book very early. “Click” the icon below or go to the reservation page if you would like to make a reservation.